[By Nick] Back when I made my first order from ice cream source last year, I put two pints of Cedar Crest on my list. When my shipment arrived I was dismayed they weren’t in the box. After some interaction with their customer service team, I was told that they were all out of the missing items and that they would refund my money. Well that was nice and all but I was pretty disappointed that I wasn’t able to try those flavors. Well, in making my second order, I made sure to include those two pints as well as another to ensure that I would at least get one variety to try this time. This time all three of them came so let’s delve into one of those pint now shall we? 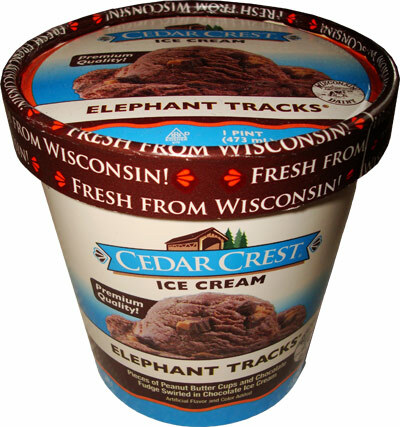 They were all equally tantalizing but I decided to try out Cedar Crest Elephant Tracks first just because when do you ever see a product with the name Elephant in it? 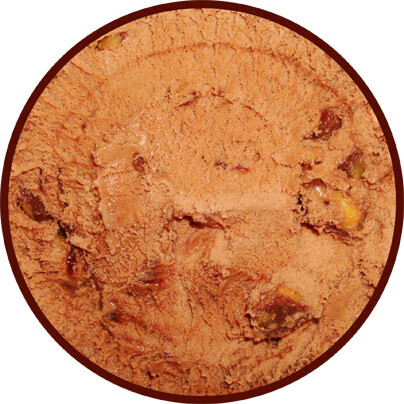 Elephant Tracks consists of pieces of peanut butter cups and chocolate fudge swirled inside chocolate ice cream. If that doesn’t sound good to you then you need to get your taste buds checked. After removing the nicely branded seal, there's not much going on. 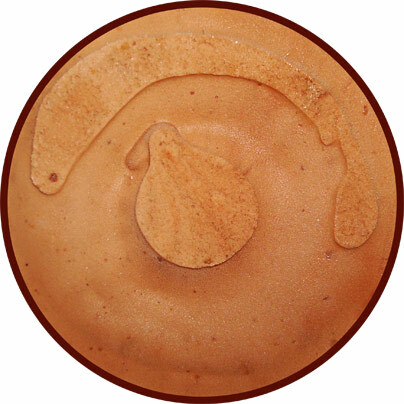 It just looks like plain chocolate ice cream. This is a bit disappointing but I’m at least able to sample the base easily or so I thought. On taking my first bite, I’m greeted with a pleasant creamy milk chocolate base but there were very tiny shards of peanut butter cups blended throughout it. What an ingenious way to incorporate your mix-ins into every bite. That’s not to say that all of the peanut butter cups are obliterated though. There are still a good amount of bigger chunks mixed in as well. You can tell they’re not real deal Reeses cups but they do their job efficiently. The ice cream isn’t as dense as say Ben & Jerry’s but it’s not as light as Breyers either. I would say it’s a nice middle of the road consistency. Okay so I’ve touched on the ice cream and the peanut butter cups so what about the fudge? Well your guess is as good as mine. I maybe saw two streaks of it and it really didn’t taste all that different from the base. Still even with the lack of fudge, you really can’t complain much when an ice cream puts chocolate and peanut butter together. All in all, this was a good introduction into a new brand for me. Verdict? PB & Chocolate is always a winner. Buy Again? It’s a little too average to warrant another online purchase but if I saw it in stores I would.